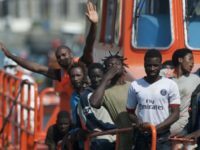 Criminal people-smugglers with their own ‘president’ and ‘prime minister’ are training massed bands of African migrants to attack Spain’s borders with Morocco in exchange for money. 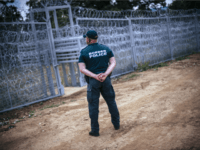 MADRID (AP) — A group of around 300 migrants stormed fences separating Spain’s North African enclave of Ceuta from Morocco on Wednesday, and 116 of them made it onto European soil, authorities said. 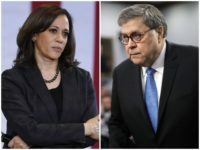 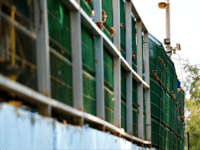 MADRID (AP) — Around 800 migrants stormed border fences separating Spain’s North African enclave of Ceuta from Morocco to get into Europe, police said Thursday. 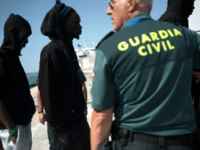 MADRID (AP) — The Spanish Red Cross says it has tended to 186 migrants who stormed a pedestrian border post to enter Spain’s North African enclave of Ceuta from Morocco. 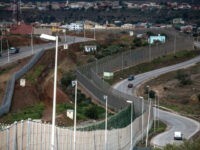 MADRID (AP) — The Spanish Red Cross says 14 migrants were treated for injuries suffered when they and some 50 others stormed border fences separating Spain’s North African enclave of Ceuta from Morocco. 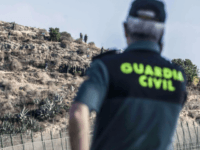 Attempts by migrants to break through the border into the Spanish exclaves of Ceuta and Melilla are becoming increasingly violent, the country’s security minister has warned. 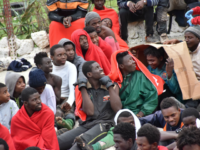 Some 300 migrants stormed the border between Morocco and Spain at Ceuta on Monday, authorities said, days after hundreds more forced their way over the frontier. 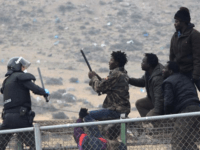 A total of 15 police officers were injured as around 500 immigrants stormed through the border between Morocco and the Spanish territory of Ceuta. 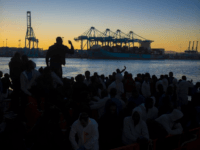 MADRID (AP) – The local Red Cross says an emergency team is assisting more than 300 migrants who crossed the fence surrounding Spain’s enclave of Ceuta in North Africa early Friday. 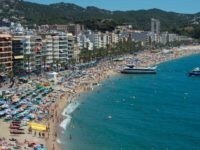 The Spanish government has released a new report claiming members of Islamic State could be targeting coastal resort towns to carry out large-scale massacres of tourists. 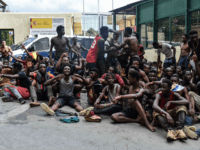 Footage has emerged of the “extremely violent and organised” attempt by 1,100 African migrants to break into the Spanish enclave Ceuta on Sunday. 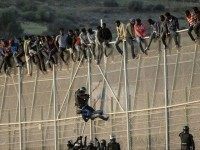 Madrid (AFP) – More than 1,000 migrants tried to jump a high double fence between Morocco and the Spanish enclave of Ceuta on Sunday in a violent assault that saw one officer lose an eye, local authorities said. 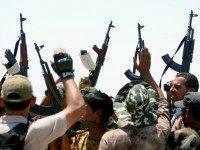 The young women married to two of the Islamic State’s most notorious executioners are arrested while trying to sneak into Europe after their husbands’ demise. 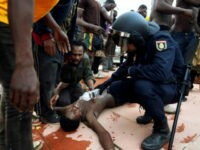 Around 400 migrants stormed the 20-foot high barrier between Morroco and the Spanish enclave of Ceuta early Friday morning leading to over a hundred injuries. 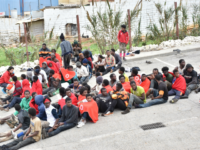 About 220 African migrants forced their way through a barbed wire fence into Spain’s North African enclave of Ceuta on Monday, clashing with Spanish police who tried to prevent them from crossing the border with Morocco.